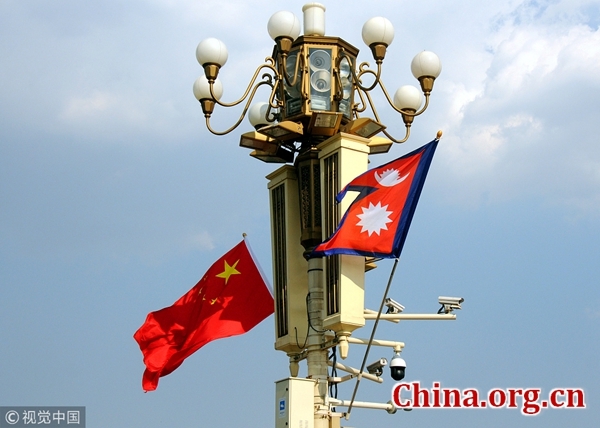 Despite a delay in selecting development projects to be executed under the Belt and Road Initiative (BRI) in Nepal, there are good prospects for trilateral cooperation between Nepal, China and India, especially with the improved relations between the latter two. These relations have long been marked by cooperation and competition; however, of late, the two countries have developed better mutual understanding and friendship, leaving the nastiness of the past behind them. 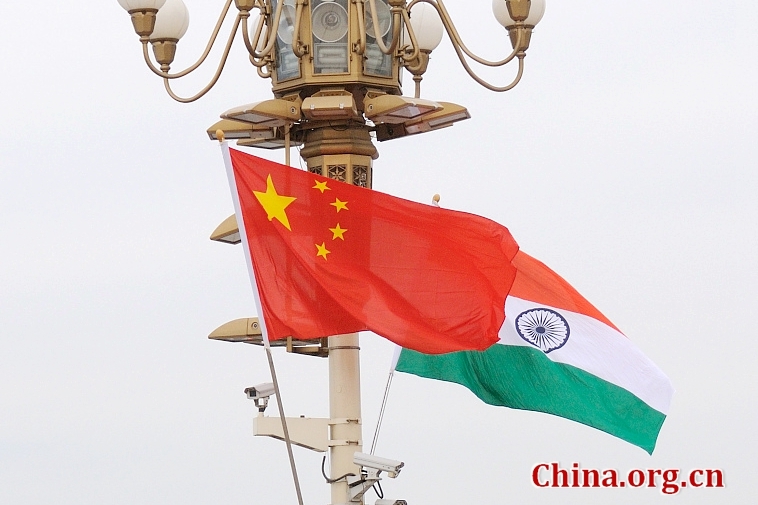 On January 5, Chinese Foreign Ministry spokesperson Lu Kang said China-India pragmatic cooperation had entered the fast lane of development, stressing a "healthy and stable" relationship between them was crucial for world peace and development. In mid-June 2017, India and China were on the verge of another military skirmish over a border standoff at Donglang (Doklam) near the Bhutan-China border. However, late last month, these giant neighbors were able to conduct a joint military drill "Hand-in-Hand 2018" in Chengdu in western China. Echoing the improved ties, India's Minister of State for External Affairs Gen. V K Singh noted these were "a factor of stability" at a time of global uncertainty. In similar manner, China's Foreign Minister Wang Yi said the Chinese "dragon" and Indian "elephant" should dance in a "duet" and avoid a "duel," while his Indian counterpart Sushma Swaraj underlined the need for collaboration to lead the region towards a glorious "Asian Century." The two nations have also started a "China-India Plus" model of cooperation to undertake joint projects in other countries. It is true that India has not joined the BRI due to reservations about the China-Pakistan Economic Corridor (CPEC), a BRI flagship project, arguing it undermines its sovereignty as it passes through the disputed territory of Pakistan-administered Kashmir. However, India has actively participated in scores of China-led initiatives such as Boao Forum for Asia, Asian Infrastructure Development Bank and Shanghai Cooperation Organization. India is also seeking Chinese backing to secure membership of the Nuclear Suppliers Group (NSG). Indian Prime Minister Narendra Modi, who has recently faced a series of defeats of his party in State Assembly elections, is pushing for stronger economic collaboration between the two nations. Seemingly, he does not want political and territorial conflicts to dampen the growing economic and cultural ties. India has cautiously distanced itself from the U.S.-led Indo-Pacific Strategy aimed at containing China's rise. The U.S. is trying to coalesce the other three powers – India, Japan, Australia – into the so-called "Quad" to check China's maritime activities in the Pacific region. Meanwhile, Nepal has politely refused to participate in any such Indo-Pacific strategy. To an American request to play a central role in the strategy, Foreign Minister Pradeep Kumar Gyawali said Nepal would not join any strategic alliance that sets one nation against another. Given its sensitive geography, Nepal can't be a part of any strategic alliance of powerful nations. In 2017, Nepal joined the BRI that is the key to implementing a trade and transportation deal with its northern neighbor. China gives Nepal access to its sea and dry ports to carry out international trade, ending long-term dependence on India for a third country trade route. These developments are conducive to realizing trilateral cooperation between Nepal, India and China. Both Nepal and China have been pushing this concept to boost the cross-Himalaya connectivity essential to spur trade, investment and cooperation in the region. China has envisioned creating an economic corridor involving all three countries under the broader framework of BRI. In ancient times, all three were connected by the Silk Road that originated from Chang'an (now Xi'an) of China and passed through the South Asian nations to reach the Mediterranean in the west. India still suffers from Sinophobia as it considers BRI as geopolitical tool of China to increase its influence in South Asia, despite Chinese insistence it is purely a development agenda and does not seek to gain any geopolitical goal. It is imperative for India to shed its zero-sum mentality and participate in the BRI that can play a vital role in shaping the trilateral cooperation between the three neighbors. Ritu Raj Subedi is Deputy Executive Editor of The Rising Nepal of The Rising Nepal.